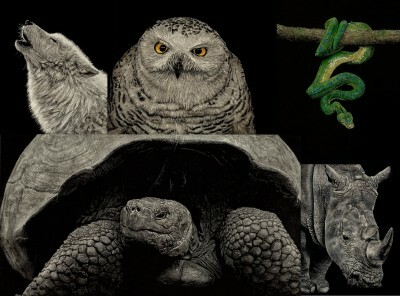 I am happy to announce that five of my pieces were just accepted into the Linus Gallery’s Online Juried show “Fauna”. These were the only scratchboard pieces accepted into the gallery. And, of all of their shows this year I have had the greatest number of pieces accepted into a single show. The gallery will be judged, and the winning pieces will be shown in a gallery in Long Island. I’m keeping my fingers crossed! You can check out the gallery here.